The band has a Facebook page including tracks of music played at ArtsFest, but if you'd like to hear them playing live, check out the gig list and come along to enjoy the music. 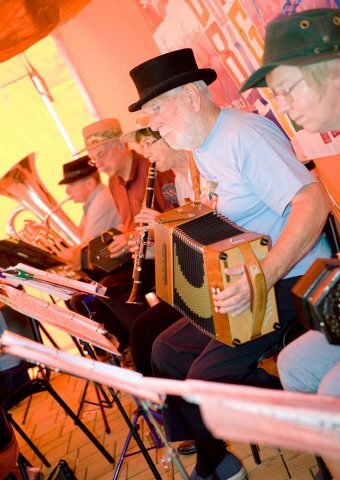 The Moseley Village Band is available to play at local community events, and runs occasional workshops with inspirational tutors - here are some photos and videos from past events. If you would like to invite the band to play at your event, and can contribute towards their expenses, please contact us well in advance to discuss details, or ring 0121 443 5687 for a chat.